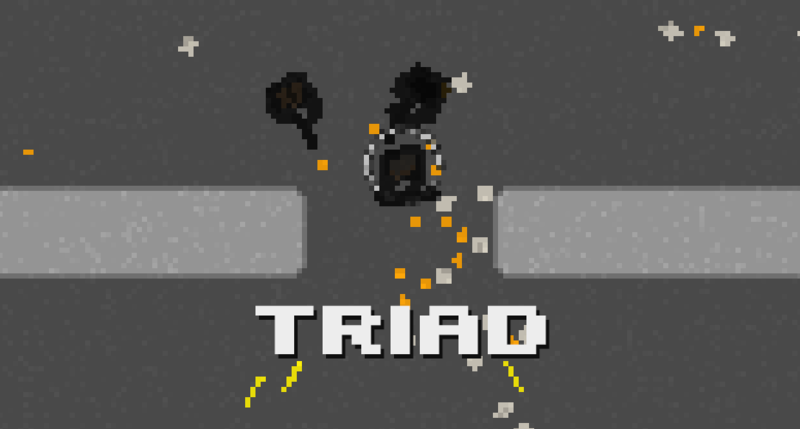 Triad was created in under 48 hours for Ludum Dare 27. It's a mixture of top-down shooting, puzzle, and strategy. You control three unique soldiers, playing them each one by one for 10 seconds. Each soldier overlaps in time with the previously played soldiers. Use their abilities in combination to eliminate all hostile defence turrets. To run the game on Windows the executable must be in the same folder with the accompanied DLL files. To run the .love file, you'll need LÖVE 0.8, which you can download from its homepage. Here's a timelapse of my 35 hours work putting the game together, compressed into 3.5 minutes. LÖVE 0.8 - The game engine. Logic Pro 9 - Audio composition program, used to create the music. Audacity - Sound editor which I used to convert all sound effects to MP3.